Tom served in the FBI for 25 years, as a Special Agent, Supervisor, and Inspector's Aide. 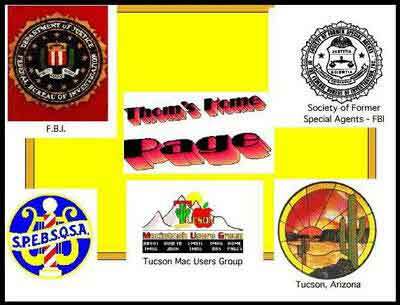 Tom is a member and the originating "Web master" of The Society of Former Special Agents of the FBI. Tom sings with four groups; the Barbershoppers, Diocesan Chorale, SEAS, and the "Sons" - The "Sons of Orpheus"
Arizona Star The Society F.B.I..
Free Shipping, Buy Now! Louis Vuitton Outlet, Cheap Louis Vuitton Shoes and Fake Louis Vuitton Handbags.